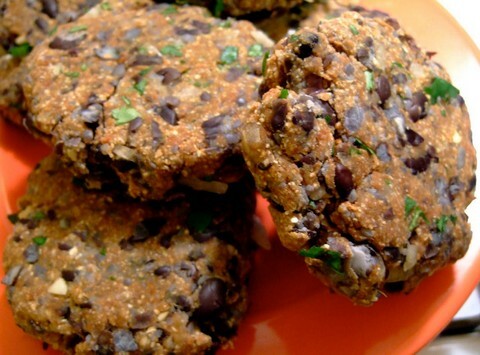 The following black bean patty is one of the most nutritious recipes I've made in my kitchen. 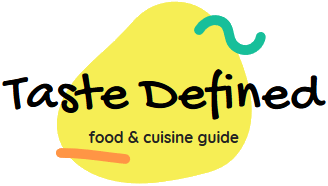 It not only tastes great but easily digests as well. Generally, we prefer a potato base for a typical patty preparation. But, there are several other ingredients as well that can be used as a base. Black beans are rich in protein and when combined with spinach, they're simply irresistible. I've also include coarsely ground cashew nuts in this patty. They not only make it bit crunchier but also help in holding the entire patty. The leftovers of these patties can be added to spicy gravy with a thick consistency. You can also add dried mint and fresh coriander leaves to enhance the flavor of this crunchy and delicious preparation. Make these tasty and nutritious black bean patties recipe which also includes iron packed spinach and cashew nuts which makes it an irresistible recipe. Boil black beans in a pressure cooker for about 20 minutes with a pinch of salt. Drain all the water and coarsely mash them with a large spoon. Take a large bowl and add mashed black beans in it. Add chopped spinach and cashew nuts. Mix these basic three ingredients well with your hands. Season it with cumin powder, cayenne pepper powder, white pepper powder, green chilies and salt. Again mix everything well with a spoon for at least 2 to 3 minutes. Finally add chickpea flour and semolina and mix well with your hands. Make flat patties with your hands in your desired shape. Heat canola oil in a shallow frying pan. Fry each patty from both sides till they turn golden brown.